Price is always a consideration when adding new additions to our home or business. Whether it’s an addition we need, or simply want, price is always our first concern. In today’s blog I want to discuss awning price. If you’re a homeowner, the cost of an awning can mean the difference between enjoying your backyard, patio or deck, or staying inside on hot, sunny days. If you’re a restaurant owner, awning price can make a huge difference between customers sitting outside enjoying their meal or waiting for an inside table…or worse yet, taking their business elsewhere. An awning we did in Piermont, NY. Now their customers can enjoy outdoor dining in comfort! For most homeowners, a retractable awning is a major investment. When a representative from Dutchess Custom Awnings meets with you, he’ll listen to all your needs and suggest an awning that works best for you. Most importantly, we are aware that awning price may influence your final decision, so we’ll work with you to find an awning that not only suits your needs, but your budget. Some awning manufacturing companies save money by bringing in lower quality units and components from China. These Chinese components will not hold up with everyday use. In the case of retractable awnings, you do get what you pay for. It’s been said, “Shop for price, buy it twice”! At Dutchess Custom Awnings our retractable awning price includes all components: frame, hood cover, fabric, motor and remote control and manual override crank. Only if an awning must be mounted on a roof is there an additional bracket charge. 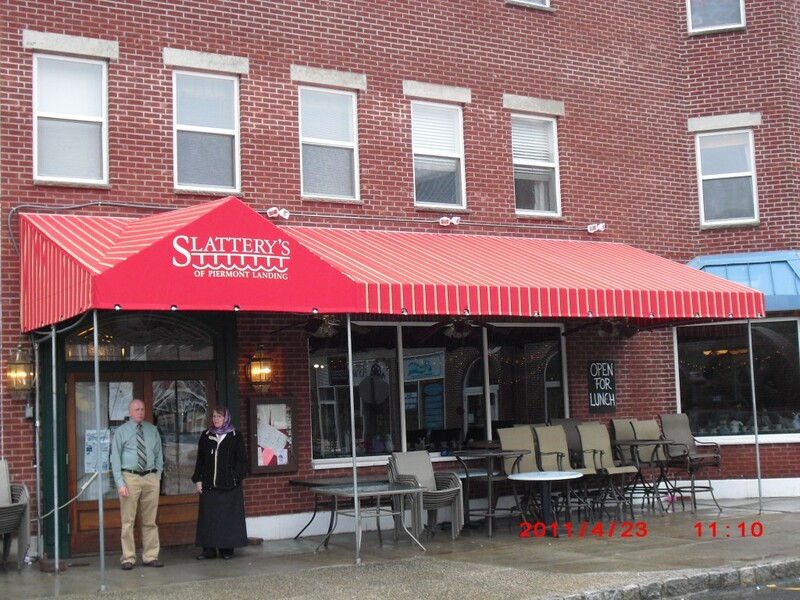 Some awning companies don’t include hood covers or installation in their estimates – not so with Dutchess Awnings! Unlike some awning companies, installation is included in the awning price we quote. Dutchess Awning’s estimates are always free and there is never any obligation. Awning Price: A retractable wall mounted awning measuring between 12′ to 14′ wide with a projection of between 10′ to 12′ will cost the consumer between $3300 to $3800. Our frame components are from Toff Industries located in Milldale, Ct. The awning price quoted includes not only all the components but you’ll receive the best awning warranties in the business. The only variable is whether or not your home or business requires a roof mount. The special brackets for a roof mount incurs a small extra charge. There are many awning manufacturers and some offer various levels of quality and price. Since you want to have years of trouble free use, be sure to always ask if you’re being quoted the “top of the line” model. Ask what model that is. At Dutchess Custom Awnings our quoted awning prices are always for the best awning available – the “top of the line” model. We want our customers to be happy with their investment. Stop by and visit us in our showroom located at 1075 Route 82, Suite 7, Hopewell Junction, NY. Or call us at (845) 226-3039 and in Connecticut, (203) 942-2474. 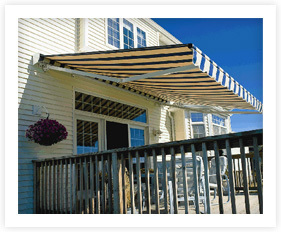 Learn more about us at our website: Dutchessawnings.com and if you’re on Facebook, pay us a visit and “like” us! At Dutchess Awnings, customer satisfaction is refreshingly predictable!